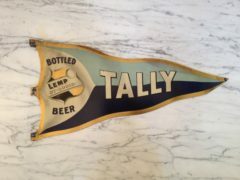 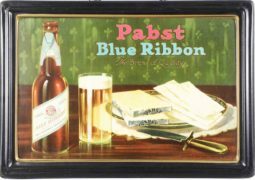 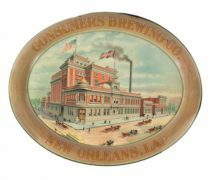 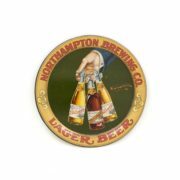 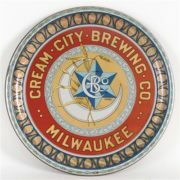 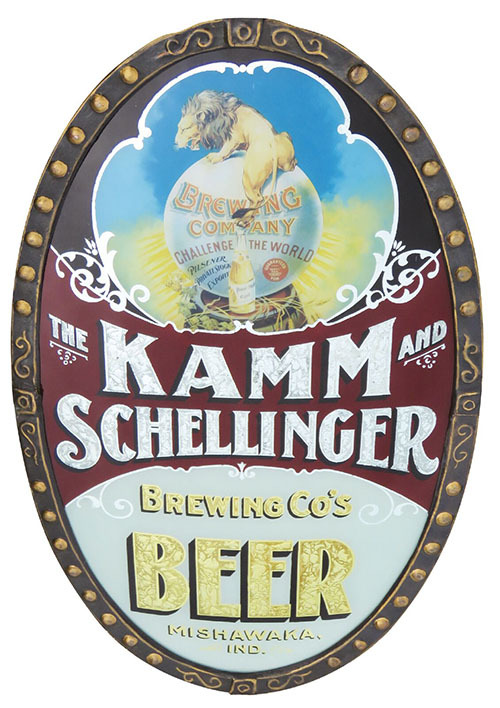 Featured is an amazing oval Reverse on Glass Corner Sign from the Kamm and Schellinger Brewery in Mishawaka, Indiana. 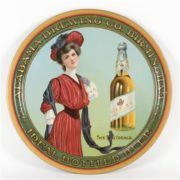 This sign is circa 1900 and features an ornate metal rounded frame to hold the glass in place. 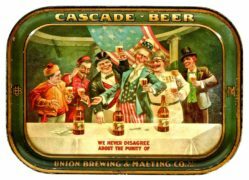 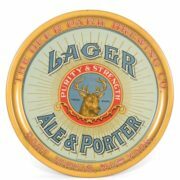 There are many posters from this brewery available today. 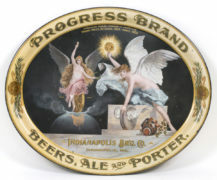 The image of the Lion on top of the Globe is one of the more classic images in early pre-pro brewery advertising.